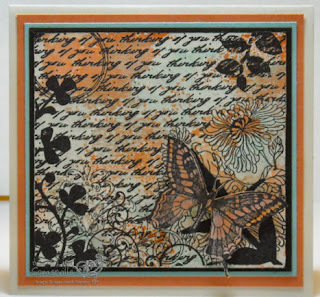 I'm feverishly working on some swap ideas using the new Fresh Cut stamp set - I'll be uploading more later this week, along with a Stamp Class - that will be available, using this set. 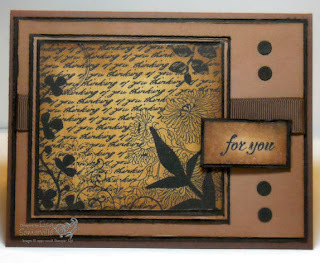 Here's another sample - this one uses the Burnt Edges Technique - it makes the stamps more "vintagey". Instead of using Distress Inks, I substituted my SU inks. More information on the Fresh Cut Stamp Set can be found here - contact me today to order yours, or see how you can earn it for FREE! These are beautiful Lisa! I love the technique on the top one!